I have searched the forums for answers to this question but most are very dated. Can I run XVM or and other mods, like in hangar stuff or after battle reports? I only use the Tundra mod in sniper mode, and very rarely use auto aim unless I am shooting at a light. Otherwise I shut everything else down. I would like to install XVM but I am afraid of crash issues. In truth since I only use a very small portion of this modpack, Sniper Tundra, and I am considering other options as the auto aim isn't really that important. 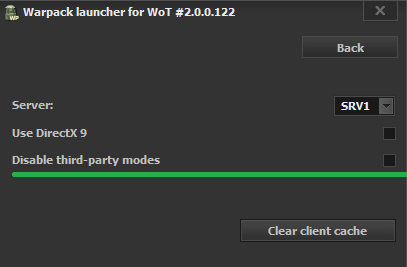 Use XVM from the official site and disable this option in the settings of the launcher warpack .